Tamanho da máquina: 361 mm 14 ", 721 mm 28", 871 mm 34 ", 1101 mm 43", 1351 mm 53 ", 1661 mm 65"
O plotter de corte é visão inglesa, profissionalmente Circuito integrado com alta precisão e alta velocidade Na regulação do tempo em velocidade e força, configure o ponto de origem a critério. Estrutura avançada de liga de alumínio excelente acabamento, longa vida útil e durabilidade. Suportando vários softwares populares no mercado. Design característico, ajustando a força de corte e a velocidade de plotagem a qualquer momento. Ecrã popular europeu grande tela brilhante alta, claramente para operar. Interface USB, suportando plug in e off quando a energia está ligada. Langauage plotagem popular doméstica, apoiando muitos tipos populares de software em casa e no exterior. Compatível com muitos sistemas operacionais de computador, como Windows XP, Vista, Windows 7 (32 bits e 64 bits), Windows 8, Mac. Garantia de 1.One ano na máquina inteira / peças. Serviço 2.Professional antes e depois da venda. Vídeo de treinamento 3.Supply e manual do usuário em Inglês. 4. Suporte a longo prazo para o software e manutenção da máquina. 5. suporte de tecnologia de vida livre em todas as ordens. 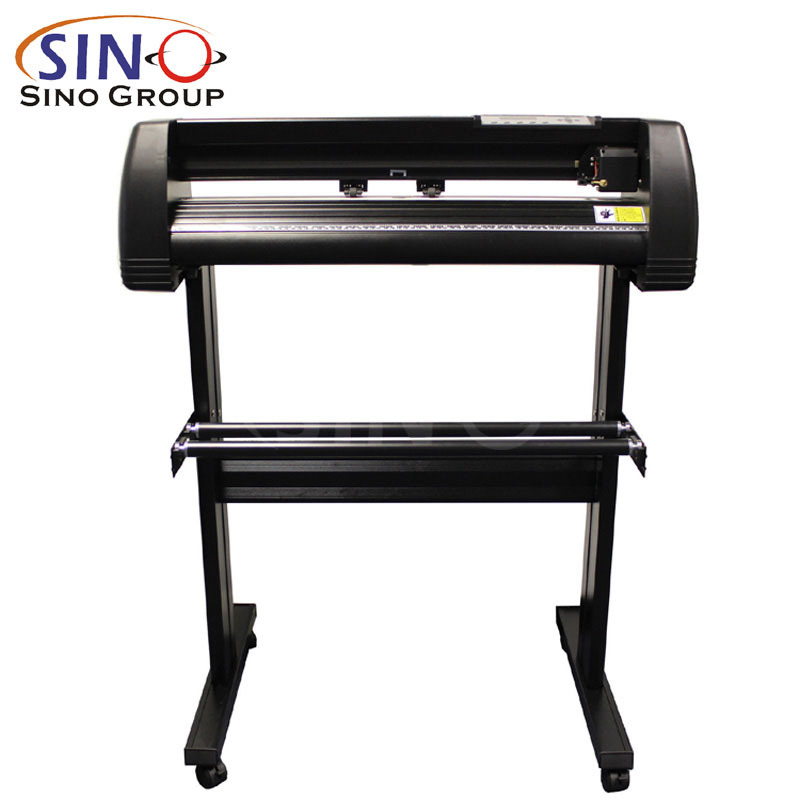 What is the difference between Fully automatic vinyl cutter plotter, Semi-automatic vinyl cutter plotter and Normal vinyl cutter plotter? 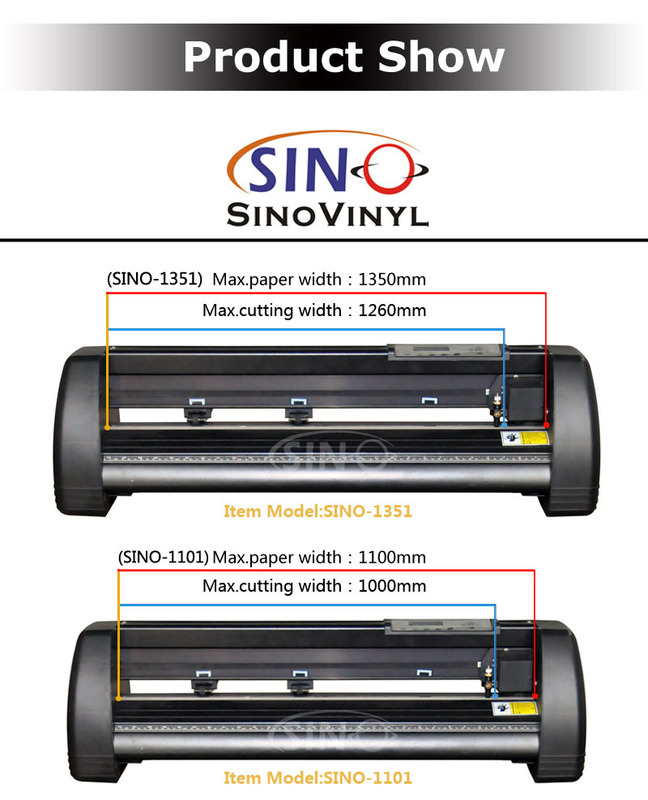 SINOVINYL® Normal vinyl cutter plotter: just use for cut the letters or patterns on the vinyl, without the contour function. 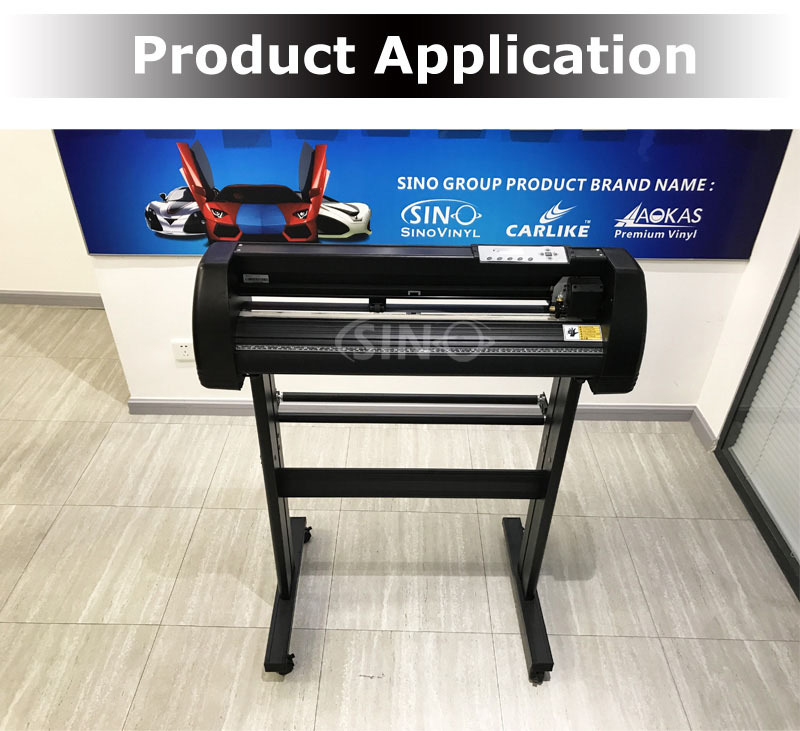 SINOVINYL® Semi-automatic laser positioning vinyl cutter plotter: use for small size contour cut, print the pattern on the vinyl, and use the vinyl cutter to cut the contour. 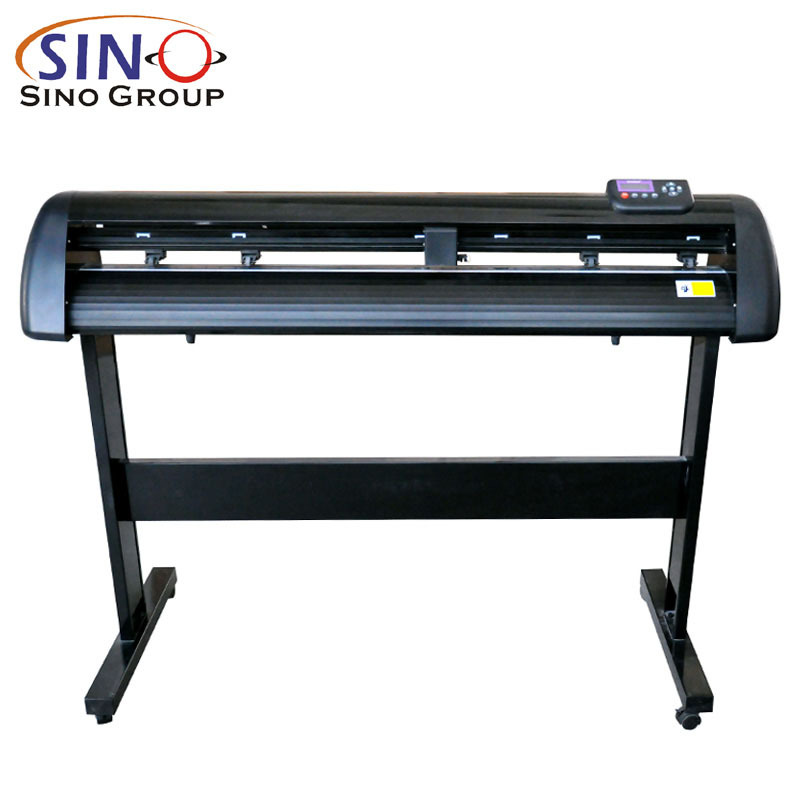 SINOVINYL® Fully automatic light induction positioning vinyl cutter plotter: use for large size contour cut, automatic scanning machine, sectional cutting, contour cutting the large patterns, can be reach of 5 to 8 meters and with high precision. 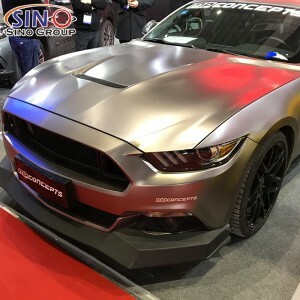 How much is the vinyl cutter? 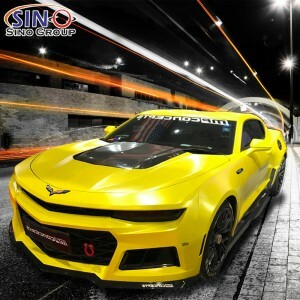 The SINOVINYL® vinyl price price is US$200-US$1200, different usage features with different price. Kindly send inquiry to us. 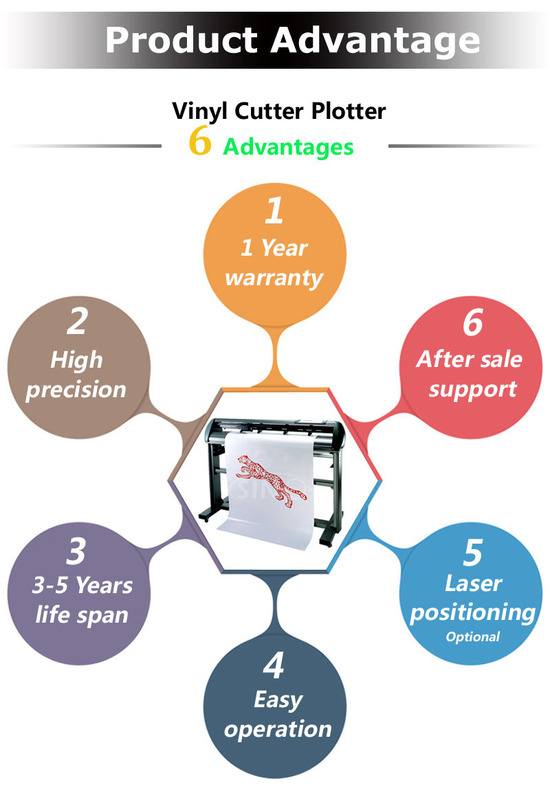 What kind of the software does the vinyl cutter use? 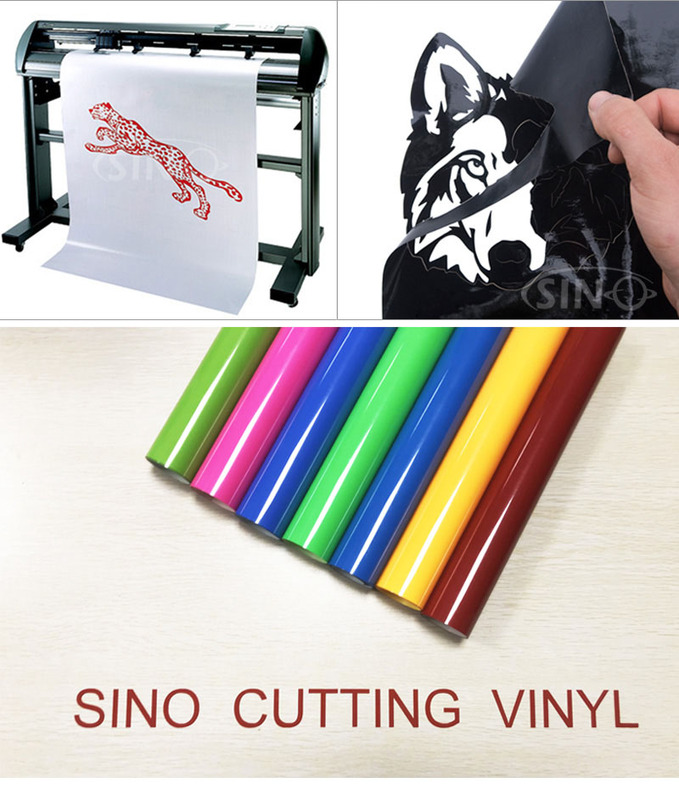 The SINOVINYL® vinyl cutter can be use different kinds of software, such as: Flexistarter, Anycut Signmaster Cut, Artcut, Coreldraw. Why is the pattern deformed or incomplete? 1. 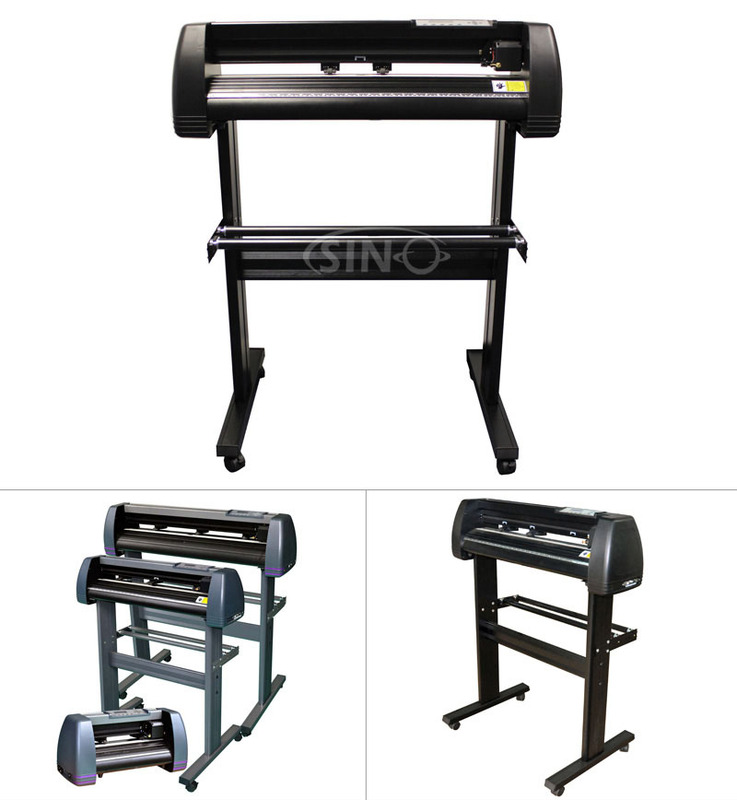 More pressure or too long blade tip or too dirty platen or too soft stickiness, all of these factors can cause more resistance to the two faces of paper and make it fall behind the roller rotating, thus result in deformed pattern. 3. The carriage belt is too loose, or the metal roller can’t exactly follow the motor running. 4. The motor doesn’t run all the steps. 5. The pattern is normal but not complete, this may be resulted from too small tool compensation value. Why does the machine plot abnormally? 1. 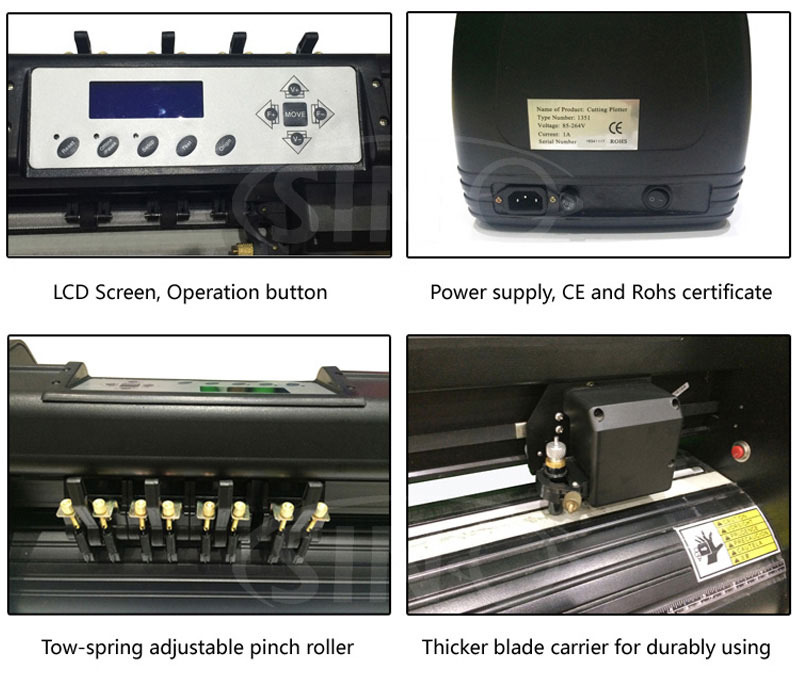 Software setting is not matched to the machine, so you must adopt proper commands set or set proper tool compensation value. 2. The plotting software is suddenly broken up. 3. Plotting software has been damaged or there is virus in computer. 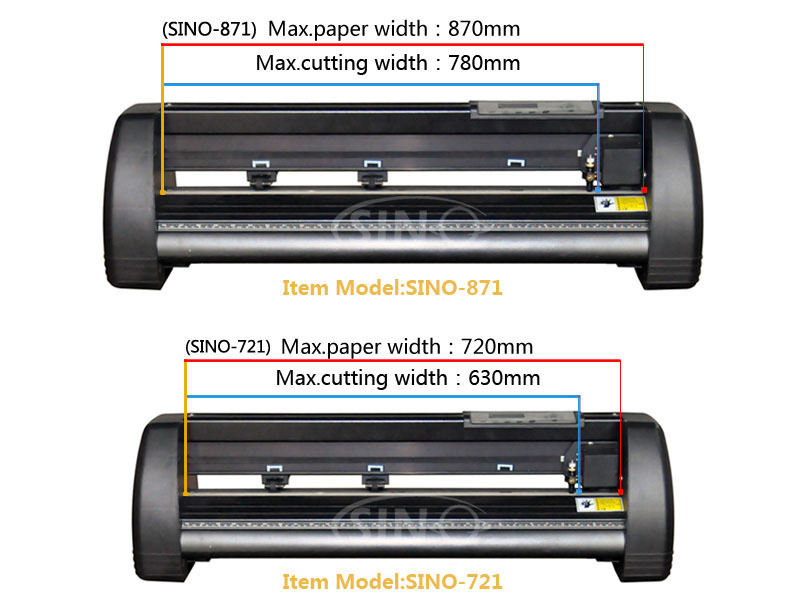 Why does the paper run deviation? 1. The stickiness isn’t placed right. 2. 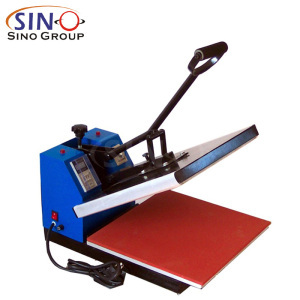 The platen is too dirty so that the resistance from two sides can’t be balanced when the paper is moving. 3. The pinch rollers have been deformed or don’t match to each other. 4. 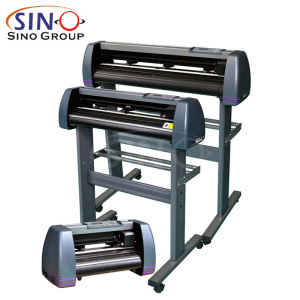 The pressure of the pinch roller is a little smaller and the paper is very sensitive to the external force. 5. The balance of the stickiness weight isn’t very good. Why some parts of letters are missing? 1. The vinyl is too heavy or too tightly wrapped. Metal roller might be soiled by some foreign substance or by vinyl chips. 2. 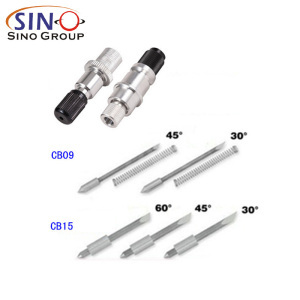 Cutting speed is too fast, cutting force is too great, or cutter tip is too long. 3. 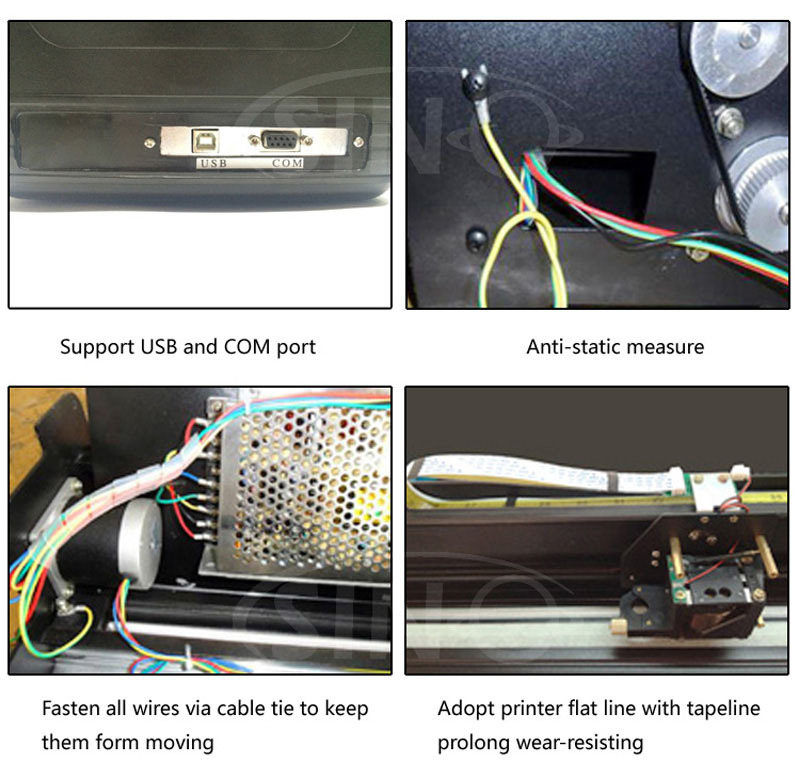 Synchromesh belt is too tight, or pinch roller is under too much pressure. 4. Metal roller is faulty. 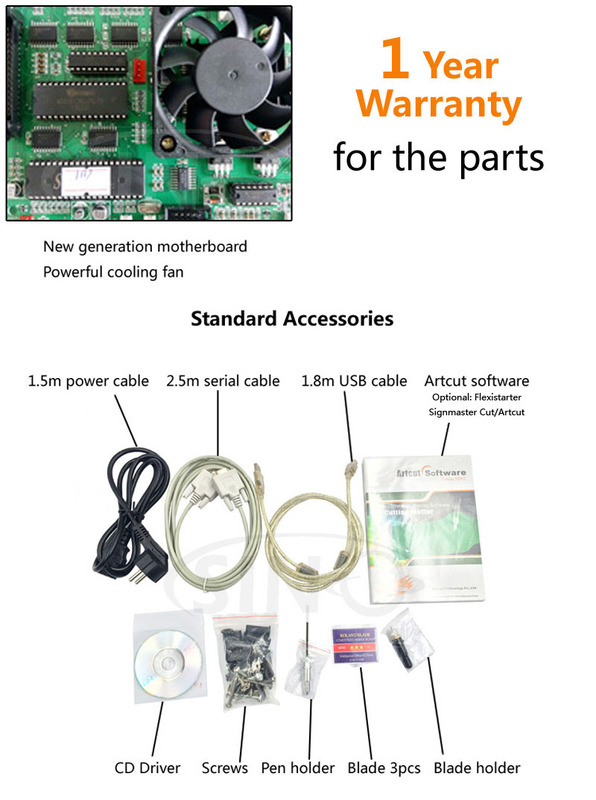 Contact local distributor for repairs and replacement. Why different letters on the same line are cut to different depths? 1. Cutter holder is not tightly attached. It should be tightened. 2. Cutter blade is not tightly set in the holder. Why letters appear to have ripples? 1. Cutting speed is too fast. 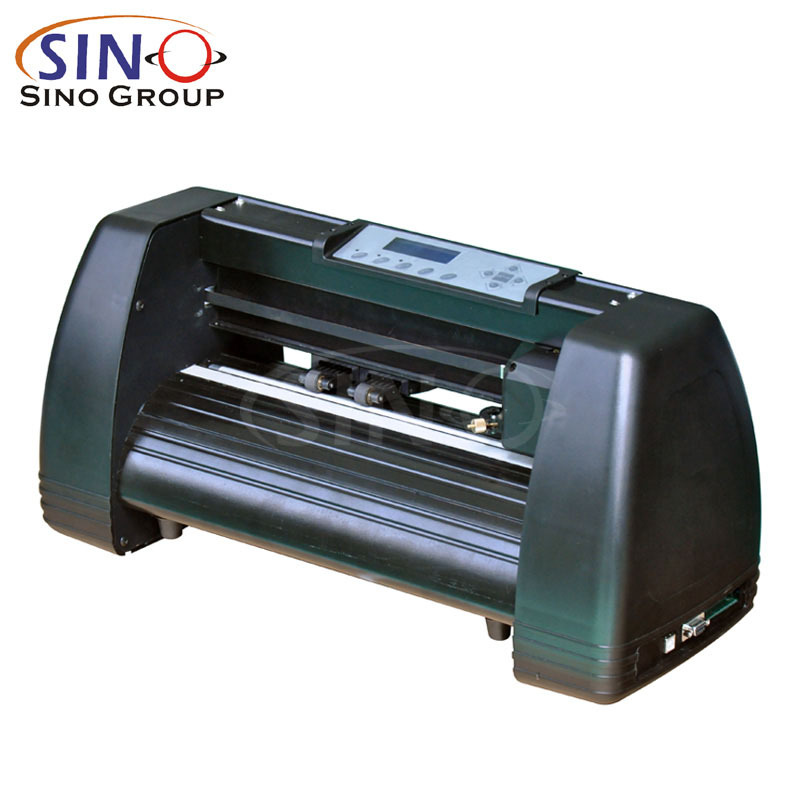 Except for cutting large letters, speed should not exceed 480mm/s. 2. 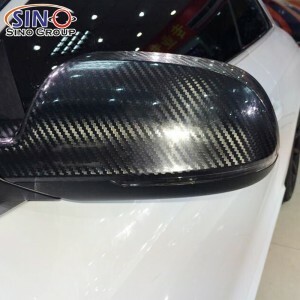 Cutting blade is of poor quality, or it has been damaged. Replace it. 3. Cutter holder is not tightly installed. Tighten screw. Cutting small letters When cutting small letters, cutting speed and force should be adjusted to the lowest setting. Similarly cutter tip should be adjusted to as short as possible. Cutting large letters Cutting speed and force may be increased to higher settings. When cutting large letters Sharp Angle in Artcut software may be ignored.